Android N Features & Supporting Phones: The Next First letter of the Android version is the N as per the order of Alphabet. Google introduced their First version name as Alpha in 2008, Beta in 2009, Cupcake in 2009, Donut in 2009, Eclair in 2009, Froyo in 2010, Gingerbread in 2010, Honeycomb in 2011, IceCream Sandwich in 2011, Jelly Bean in 2012, KitKat in 2013, Lollipop in 2015, Marshmallow in 2015 and now, Nougat in 2016. The Next Version of Android is like to start with the First letter of “O” and here we provided the Android N features. 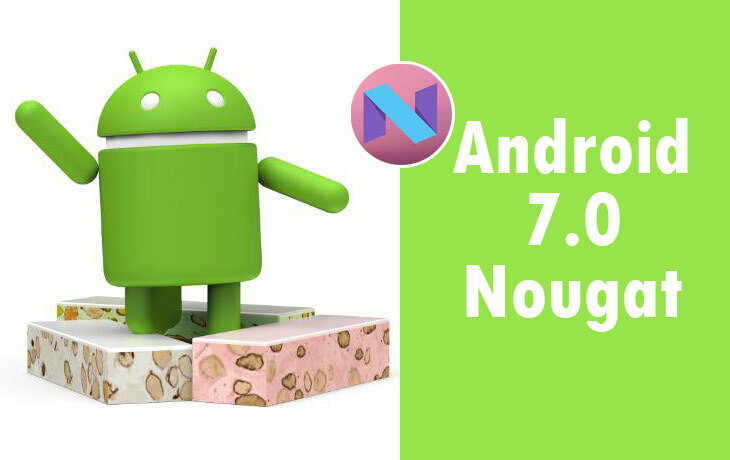 The upcoming Android 7.0 Nougat will be released along with the first device of Nexus smartphones. This Version will be expected to release in the month of August or in the month of September. 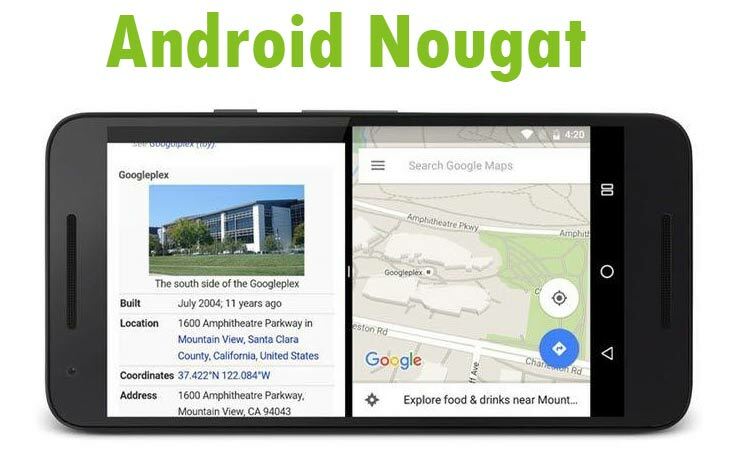 Scroll down and Read the Complete features of Android Nougat. 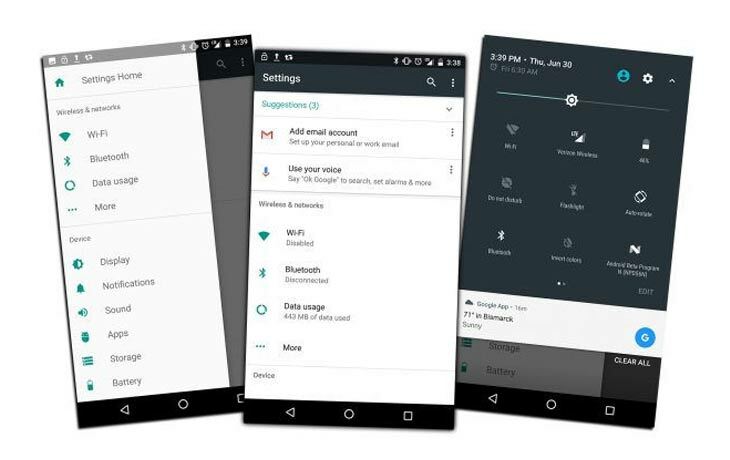 The New Android N will arrive with the features of Multi-Window Support, The Notification Shade, Doze Mode, Night Mode, Change screen zoom levels (DPI), Virtual Reality, Data Saver, New Quick Settings, Recent App UI, Project Svelte, The New Settings Menu, System level number blocking, Always-ON VPN, Emergency Information. Here we provided the complete details about Android N (Nougat). One of the newest features on this Android Nougat is the Multi-Window support. By using this feature, users can able to their apps in the split-screen mode and picture-in-picture mode also. This feature will be worked on the Android supported tablets and Televisions. The Android version updated its notification shade as completely with the new looks spectacular. In the previous version of the Android 6 Marshmallow, the doze mode was introduced, but it would not be triggered where it was kept in the bag OR pocket. This updated Doze mode will be activated when the screen is turned off. Because of this feature, the battery will life saved lot. The Google makes it user-friendly as it is easy to switch between the dark color on the time of night as the white settings UI is unpleasant to look at that time of night. Maybe, it is one of the most welcoming features of this Android version 7.0. Some of ours, very familiar with this update on various PDF readers. Now, it will arrive with the Android 7.0. This feature allows the three element changes as the messaging, app drawer and settings. The size changes are small, default, Large, Larger and Largest. The users will allow changing their DPI as their wish. The users can activate this feature under the “Settings” option. Here we have a new brand named as Daydream. This new platform will help to use the Virtual Reality App versions such as YouTube, Photos, and other VR apps. The users can be able to use this version of an app if their smartphones are certified along with the Daydream with appropriate sensors. The settings app has updated with the additional new option called Data saver. This option has to use for the fewer data. This app will help to block the background data usage and also this new feature will show the data pack usage along with the apps. The Android Nougat will release their new quick settings, in the Marshmallow, the Android 6 users are experiencing with this setting without pulling down the shade twice. This default icon consistent with the features of Wi-Fi, mobile data, flashlight and Do not Disturb in the single minimalized row. By using this feature, the users can ba able to see the more running App in the background. This new card covered lots of area on the Android 7 device. This feature was freshly introduced in the version of Kitkat. It will help and allow the latest Android Operating System running smoothly.in the broader range of devices. The Android Nougat will release the new settings menu with the simple update with the Data usage, Bluetooth situation, RAM usage. This new feature will help all the Google fans. Maximum of ours using the third-party apps for this number blocking feature. The blocking numbers list will be Keep it on with your Google account. The short form of Virtual Private Network is VPN. Also, google wants to make their device with highly secured one. All the emergency details are under the Emergency button which is on the Locked phone. Emergency details such as Medical details, Blood type, Personal contacts, and emergency contacts. The following Mobile modules will release along with the new Android version (Android Nougat).